February is American Heart Month. Heart disease is the leading cause of death for both men and women in the U.S. It’s time to change that! 80 percent of cardiac and stroke events may be prevented with education and action. Learn what you can do to prevent heart disease and stroke, and raise awareness for Heart Month. Wear Red & Raise Your Voice on National Wear Red Day®. Heart disease and stroke cause 1 in 3 deaths among women each year, killing approximately one woman every 80 seconds. That’s why this year our employee-owners are going to wear red on National Wear Red Day®, February 2, 2018, and we encourage others to do the same! Take a selfie, organize an office or team photo, paint your neighborhood red, organize a neighborhood walk or office walk wearing red, dress your family up in red. However you Go Red, take photos and share them using the hashtag #WearRedandGive to inspire others! Make the time on National Wear Red Day to Know Your Numbers. Five numbers that all women (and men) should know to take control of their heart health are Total Cholesterol, HDL (good) Cholesterol, Blood Pressure, Blood Sugar and Body Mass Index (BMI). 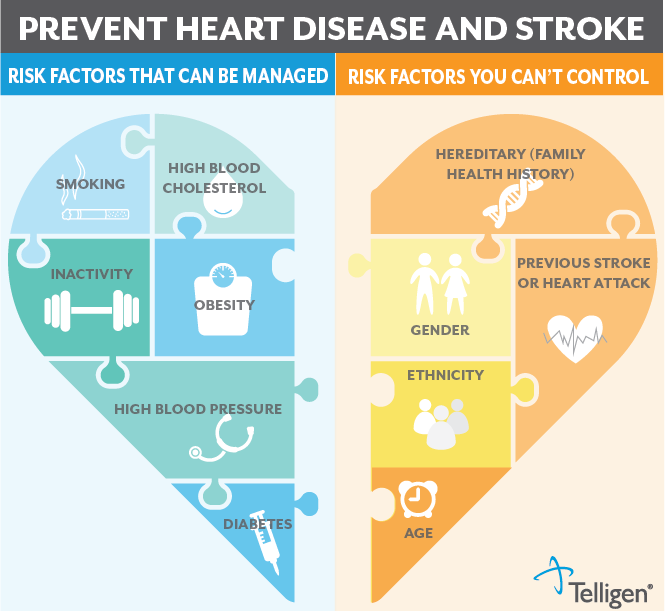 Knowing these numbers can help you and your healthcare provider determine your risk of developing cardiovascular diseases. Know your Family History and Share it with Your Doctor: Click here to access a Family Heart History Chart to fill out for your next appointment. Understand your Risk Factors: Take this quiz to help you learn more. Monthly Challenges for Heart Health: Learn about AHA Go Red Get Fit Monthly Challenges and support group. Exercises for Heart Health: What exercise is right for you? Click here to learn activity recommendations for overall cardiovascular health and lowering blood pressure and cholesterol. Meals for Heart Health: Simple. Affordable. Quick Cooking Recipes, that are good for your heart. Reduce Stress in your Life: Click here to learn the link between stress and heart disease. Donate directly to Go Red for Women. By doing so you help support educational programs to increase women’s awareness and critical research to discover scientific knowledge about cardiovascular health.